Good morning! 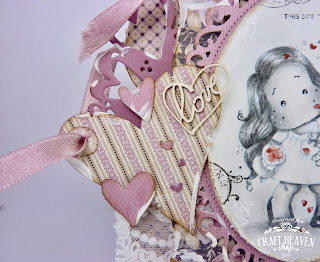 I have another card to share on the Craft Heaven blog today. 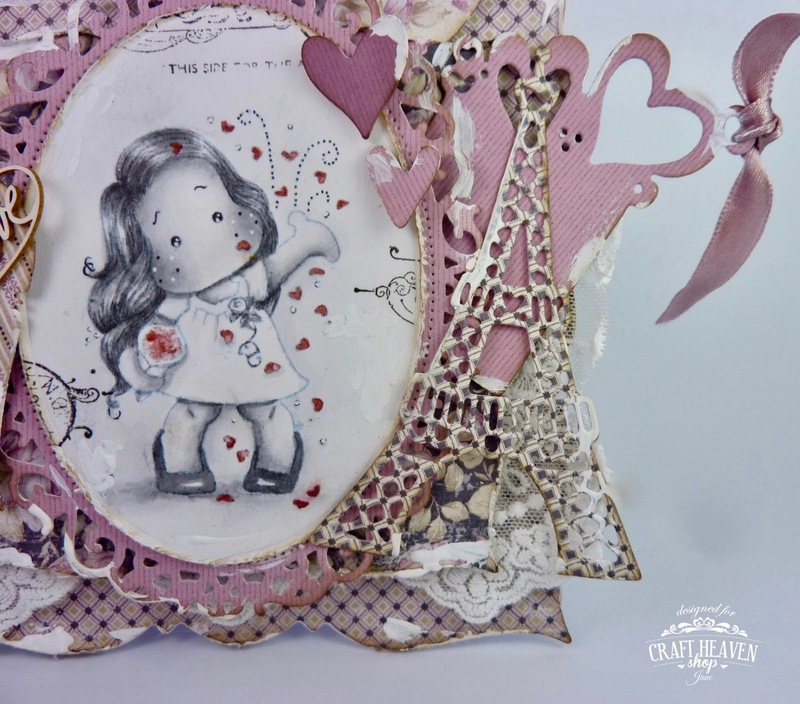 Continuing our love theme that we have for our challenge this month, I made a card with Tilda Throws Away Hearts from the 'You are Invited' collection. 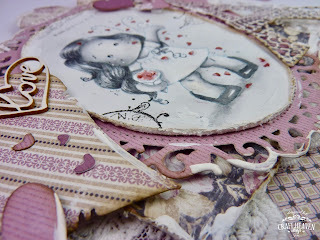 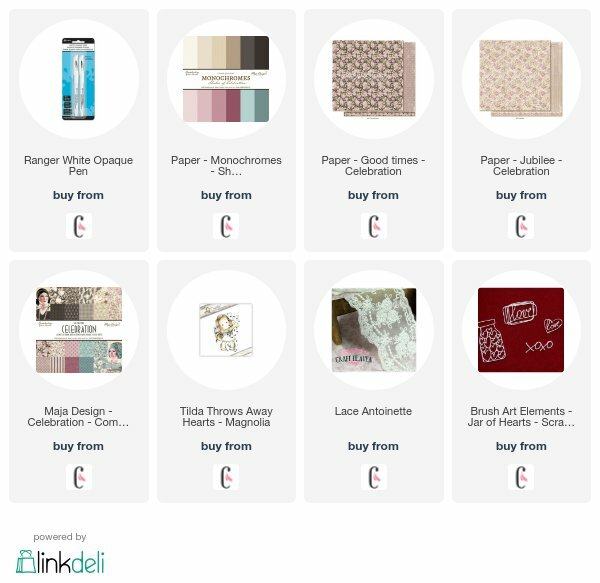 I have also used lots of scrumptious papers from the new Maja Design collection - Celebration. 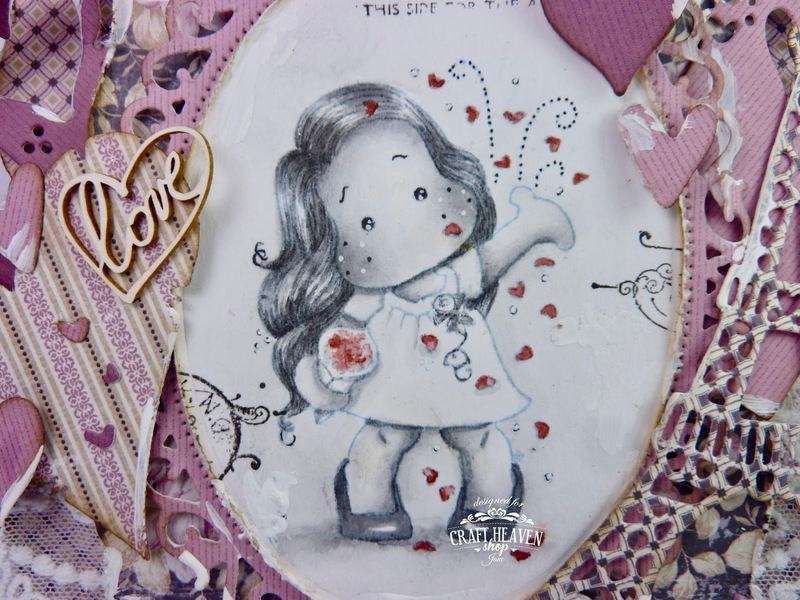 As soon as I saw this Tilda I knew I wanted to paint her black and white and the hearts red. 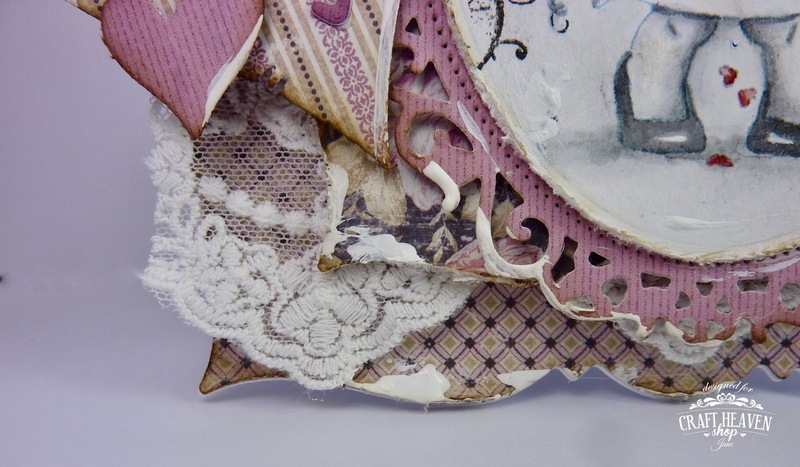 I love this effect on photographs. 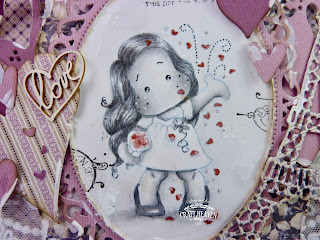 I have used just two colours of Distress Inks to paint her - Black Soot and Aged Mahogany. 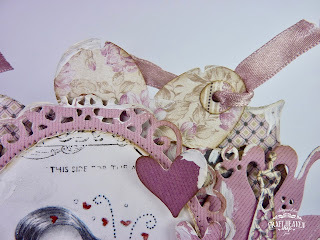 I have used several Doohickey dies that feature hearts to continue the heart theme throughout the card. 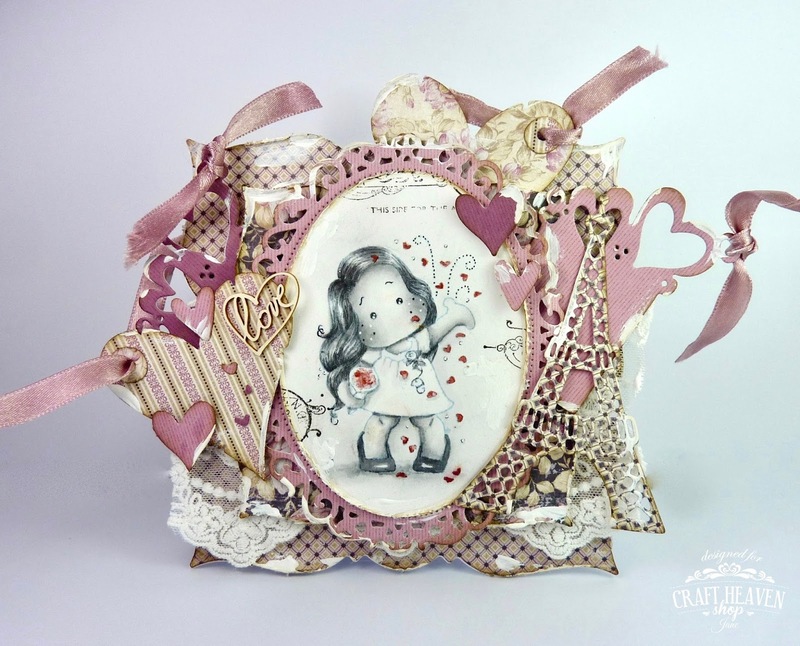 I have also popped a little Scrapiniec chipboard heart on there. I couldn't resist adding the amazing Eiffel Tower Doohickey, also cut from the Maja papers. I have used some of the off cut hearts from the tags to decorate the card and ribbon from my stash for the tags. 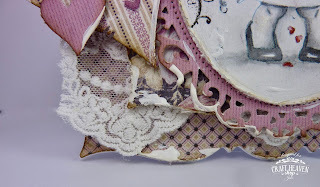 The gorgeous lace is also from Craft Heaven.